pouch, favors, knife, etc., and is a great alternative or addition to a belt. 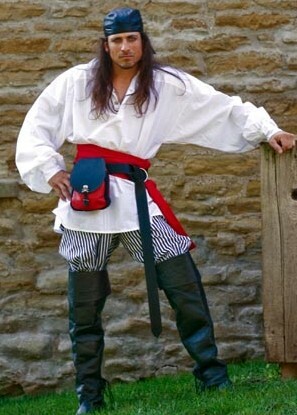 Choose several styles in a rainbow of colors, and pirate sashes, too. 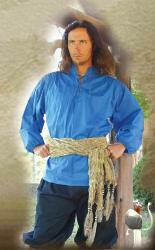 This 96-inch, metallic rayon sash is edged with multiple long tassles. 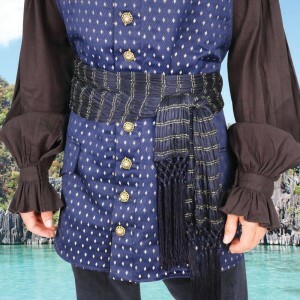 It makes a great accent for your pirate outfit! 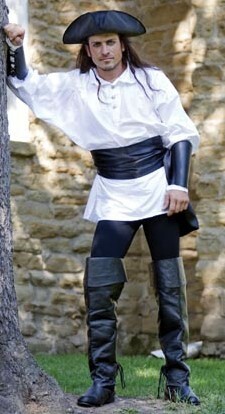 In gold, burgundy, black, navy, or apple green (not pictured). #C-1043 - This cotton voille scarf, screenprinted all over with a skull and crossbones design, measures 65" x 40". 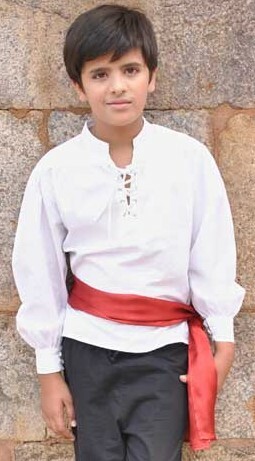 It can be worn as a sash, tied on the head or wrapped around the body. 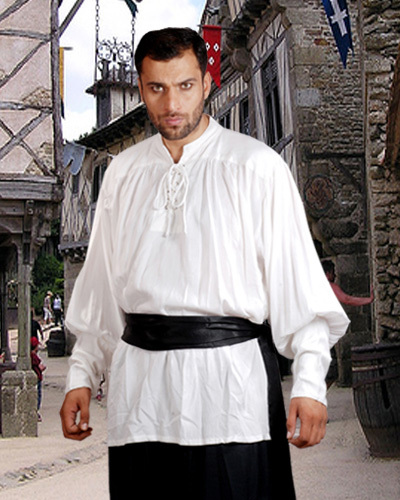 Add this versatile accent to your pirate garb for a great look! 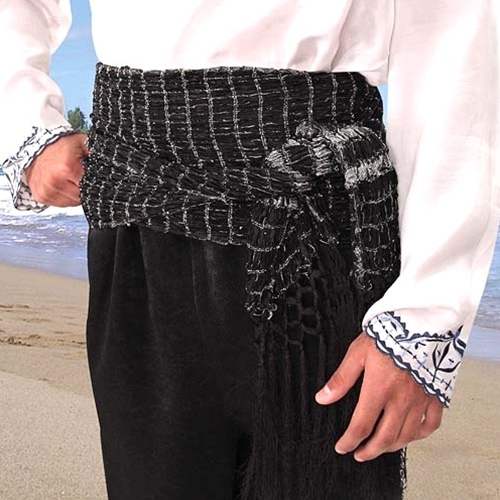 #C1044 -- 100 inches of shiny, supple satin to wrap around your waist or wear as a bandana. 20 inches wide, and available in six colors! 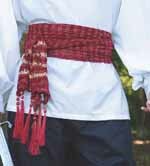 Same as our #C44 Adult sash, but 59 inches long and 14 inches wide. Made of shiny, supple satin. 6 colors to choose from! 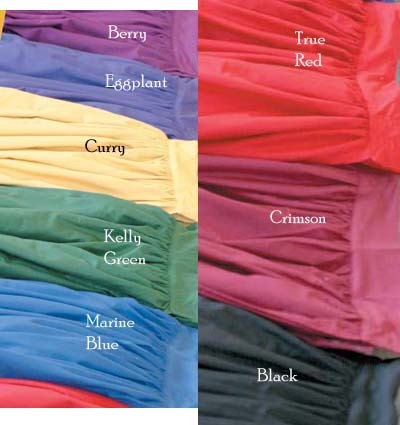 110 inches of sensuous, supple satin to finish off your period outfit! We stock black and red, but if you need another color let us know, and if the factory has that color in stock we can get it for you. 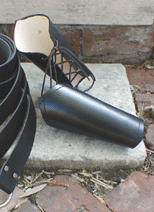 These quality leather accessories are the perfect "finishing touch" for your pirate or other period outfit. 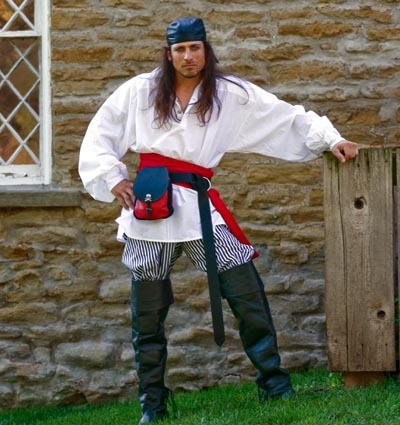 Top off your pirate or period outfit with this 110-inch cotton sash, available in a rainbow of colors.